We survived the Mini bump in the road just three days into our trip. We wallowed in self-pity for a few moments. The insurance company replaced our sporty Mini Cooper with a rental Toyota sedan and we didn’t have a plan for acquiring a second vehicle. But these rental wheels couldn’t deter our plan to explore some Arizona sights in our shorts and flip-flops. In January! 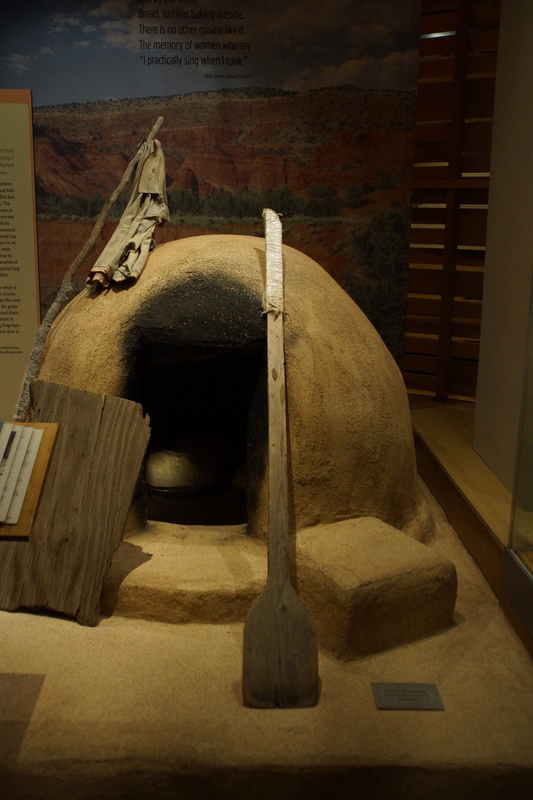 First up, the Heard Museum, and off we galloped to learn all about the Indian heritage and culture of the first settlers in Arizona. 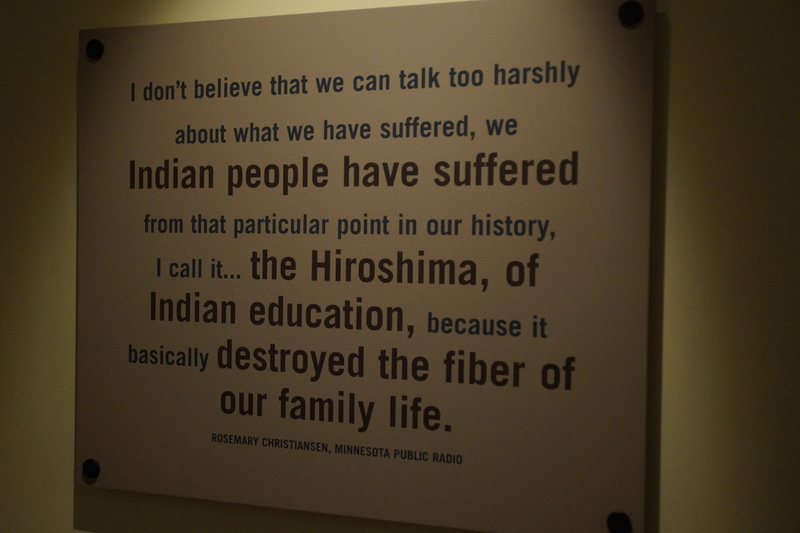 Now hear me loud and clear on this museum thing. They’re not my favorite activity. I just feel peer pressure, in my mind, about visiting museums with my kids. Great moms take their kids to museums, you know, when they’re not challenging their kids’ minds to a game of scrabble or chess. It’s especially what homeschooling moms schedule to enhance their students’ learning. I’m a people-person. I prefer trolley tours around cities. I like tour guides talking and interacting with a group. I like people watching. But by golly, I can pay my admission and walk through a museum with the great moms. Out of sheer guilt, mind you. So we spent an afternoon at the museum, and thankfully, they offered a crafty hands-on section, another favorite pastime of mine. Not!No, I’m not crafty. Yes, I’ve decorated many a home on HGTV across the nation. The two are not related. My teens, on the other hand, are super crafty, artsy types. They were in hog heaven cutting and gluing and beading and knotting, and the crafts stretched out our museum visit escalating me to super mom status. 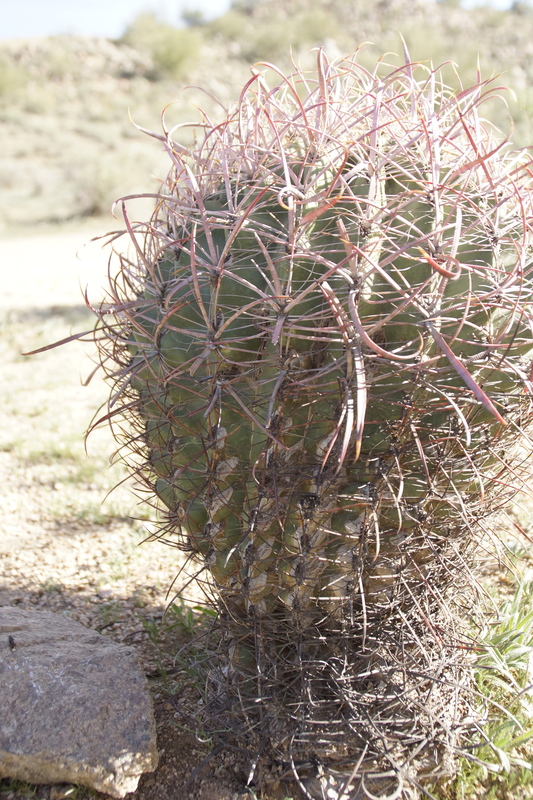 Peer pressure continued to get the best of me as we ventured over to a Sonoran desert/conservation area for a picnic, some nature journaling/sketching, and a hike. Great moms also hike and pack whole food picnics, right? Yeah well, I prefer table service dining al fresco, journaling on my computer indoors, and walking in and around boutique stores. This place had hills and trails, sagebrush and cactus. We ate food I packed in plastic containers, and we sketched in nature journals, and we hiked. Yes sir. Hiked. Or as John and I call it, walking on uneven terrain, looking down to watch your footing, never noticing the beauty surrounding you. Check. Now that I’d earned stars for educational enhancement and physical fitness, we were off to embrace Arizona’s most visited park: Castles ‘N Coasters. We needed to shake out our muscles on the putt-putt course and chillax our brains playing Skee Ball, Jurassic Park, and Galaga. We also enjoyed redeeming our video game tickets for candy, Air Heads, a better description of my teaching style. 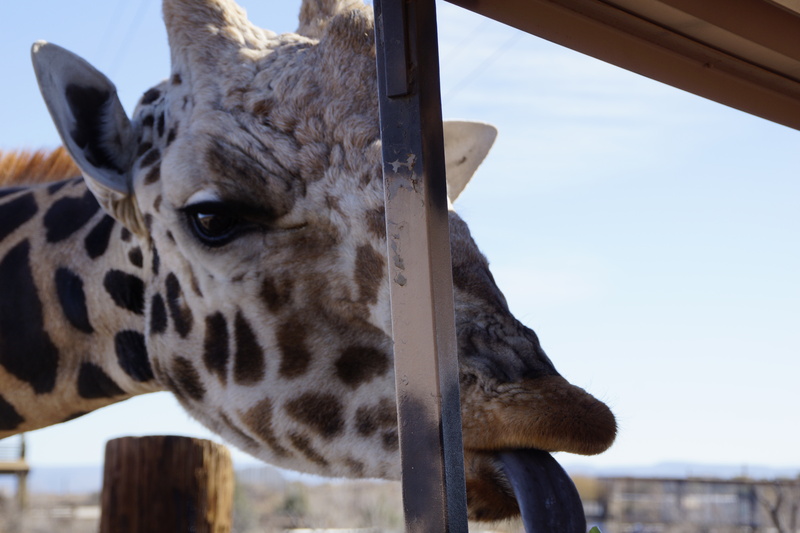 On a different day we visited Arizona’s other most visited park. Yeah, that one. 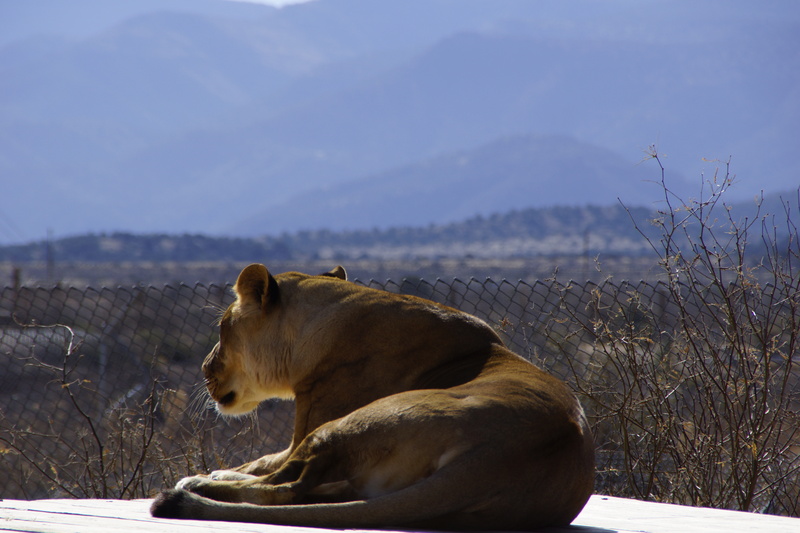 The Out of Africa Wildlife Park. Don’t dare call them a zoo. 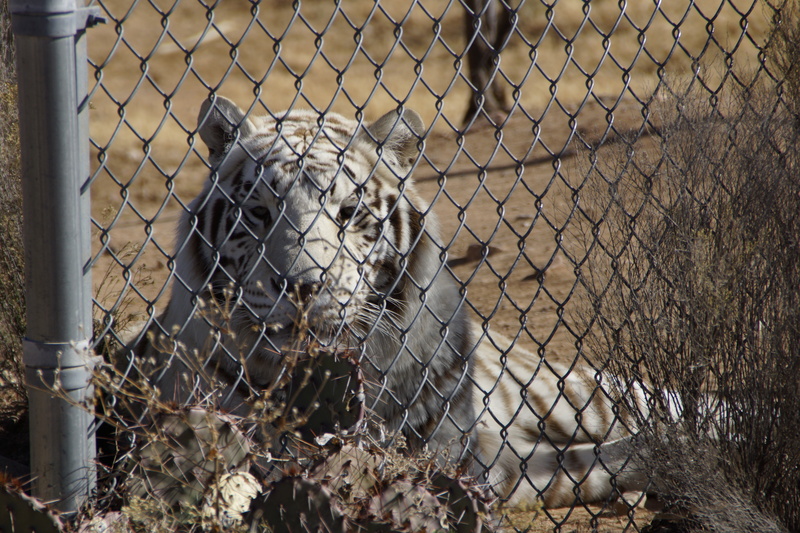 But it was really like a zoo without paved walking paths. We actually ended up having a great time. 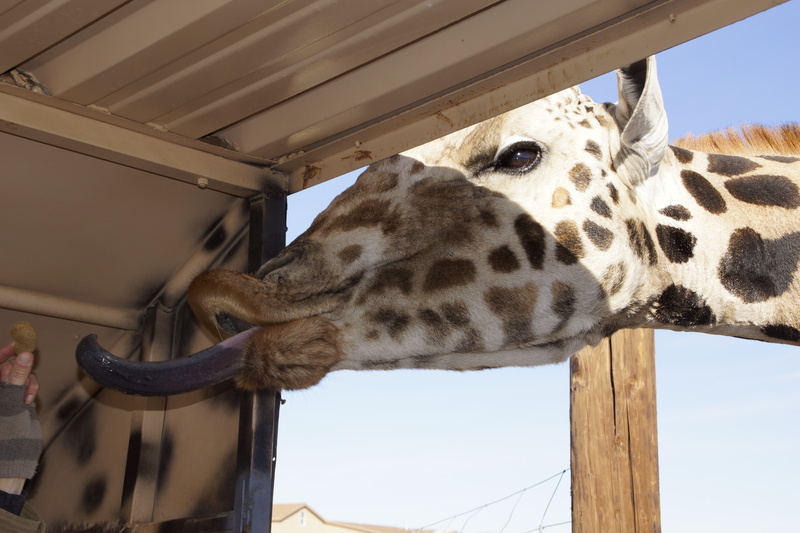 The witty tour guide drove us in a school bus through a separate, fenced-off part where all sorts of animals roamed freely around and we got to feed a giraffe with a really long, black tongue. 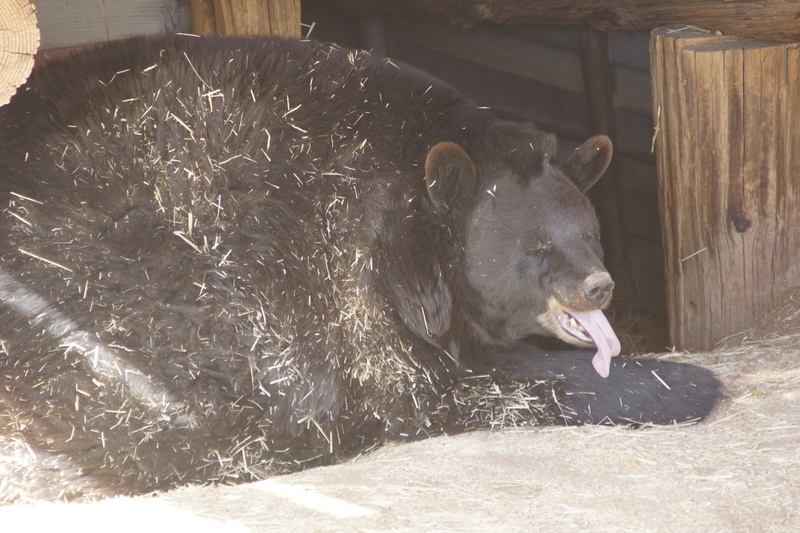 Then we freely roamed the rest of the park by foot and saw lions, tigers, and bears, oh my. We did, in fact, visit the big ditch, too. 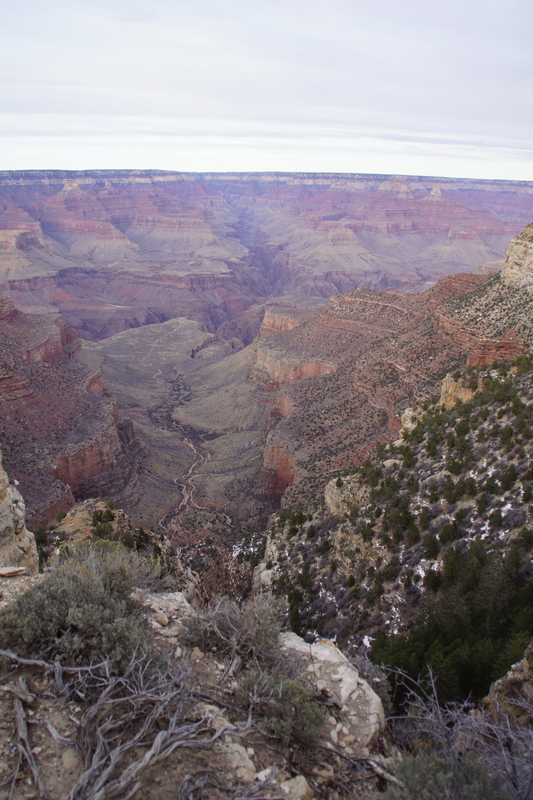 We’d trekked to the Grand Canyon about six years ago and didn’t get the intrigue, thus affectionately calling it the Big Ditch. It’s about a four-hour drive from Phoenix so I figured we’d give it another shot now that we’ve matured and all. 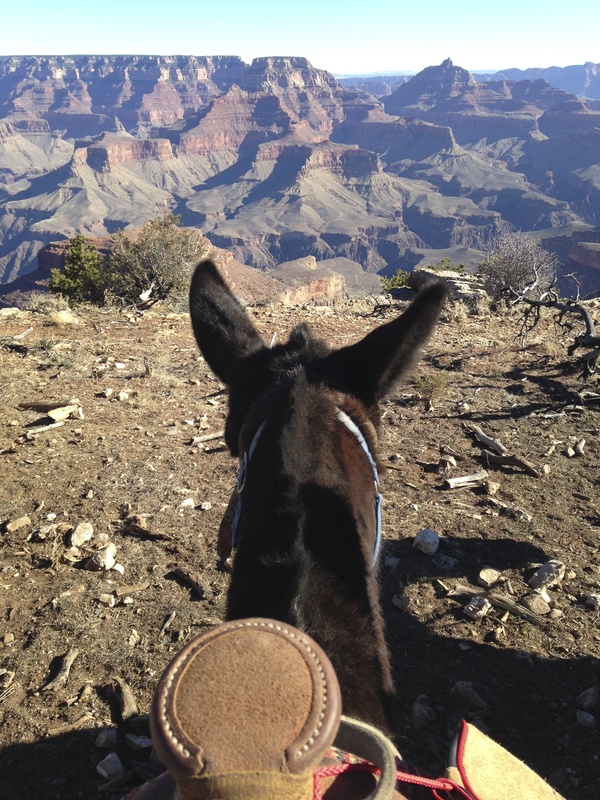 This time I booked us on an early morning mule ride around the south rim hoping for a new, deep, spiritual experience. Boy howdy, I got it; however, it arrived at sunset the night before the mule ride. I’m a sucker for sunsets and this one did not let me down. The canyon embraced the sun’s final rays and pulled them deep into her rock core exposing the deep, rich colors I love in a paint color deck. I stood still, awestruck. This isn’t a museum nor is there a tour guide; however, the rocks cried out declaring God as King, paraphrasing Luke 19:40, but it was true. I could almost hear them. Every angle beckoned a photo. Every photo beckoned a breath. After sunset, we watched the Imax theater’s version of the Grand Canyon’s history, enjoyed dinner, watched Downton Abbey, and collapsed into bed. 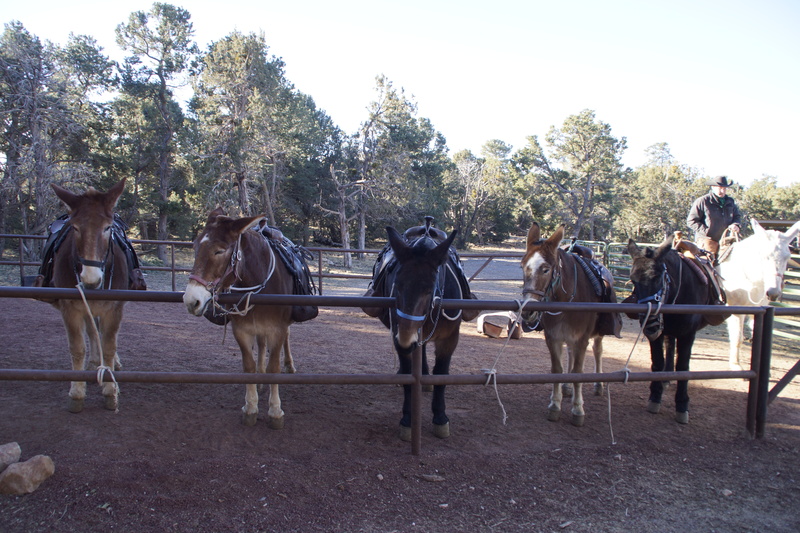 Next morn, we met our mules. 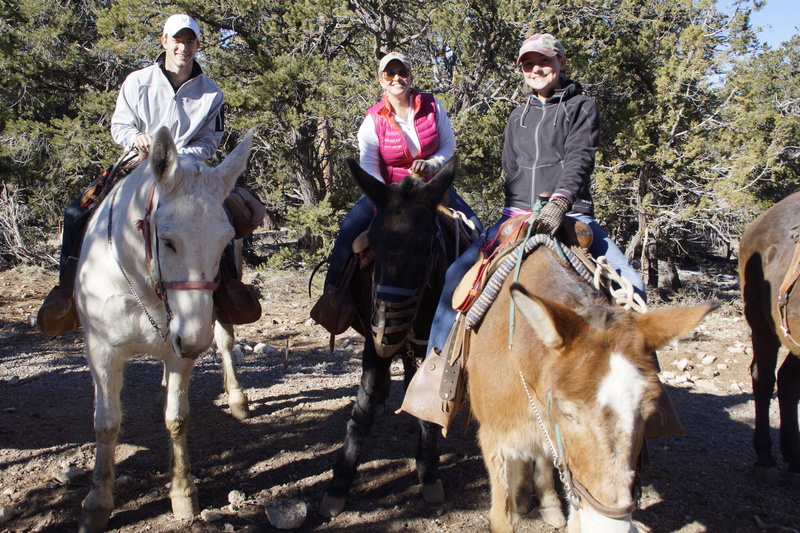 None of us had ever ridden a mule before and our tour guide fully prepped us for Jeopardy rounds including the category “mules.” Once he discovered that no geologists were in the group, he also gave us bits of canyon trivia along the two-hour ride. He also kept remarking about how much snow is usually piled up along the trail in January. Glad today’s weather was clear, a warm 37 degrees, and no snow! 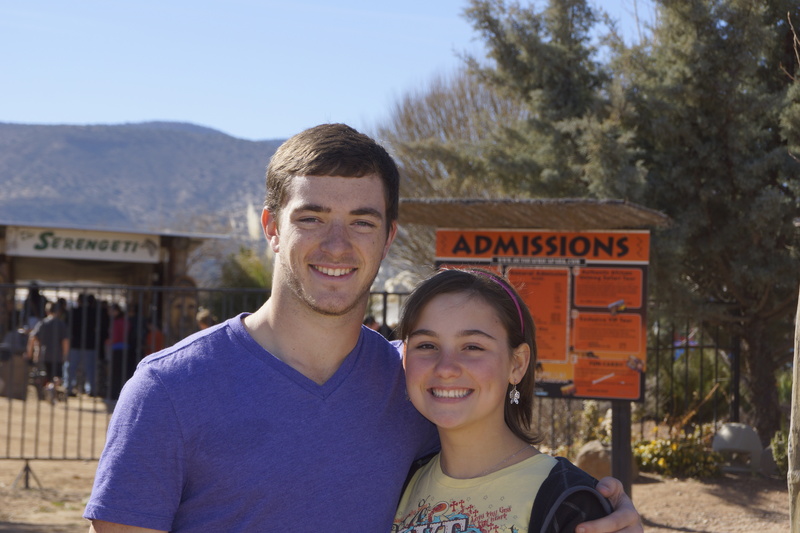 This outing filled my daughter, Aleyna’s, love tank. The girl loves animals. Horses top her list, although she suffers from major allergies when she’s around them. During the ride, she was following directly behind the guide, two mules separating us, so I was unaware that her horsehair allergy had kicked in until I heard unending sneezing on our return trip back to the stable. By the time we got back, her eyes were swollen and she was miserable. To think that God entrusted children into my care is beyond me. I know she’s allergic to horses. I booked the ride. On mules. Seriously, aren’t they the hypoallergenic cousin of the horse? I brought her gloves to keep her hands warm but forgot the freaking Zyrtec, and the Kleenex, and my brain. 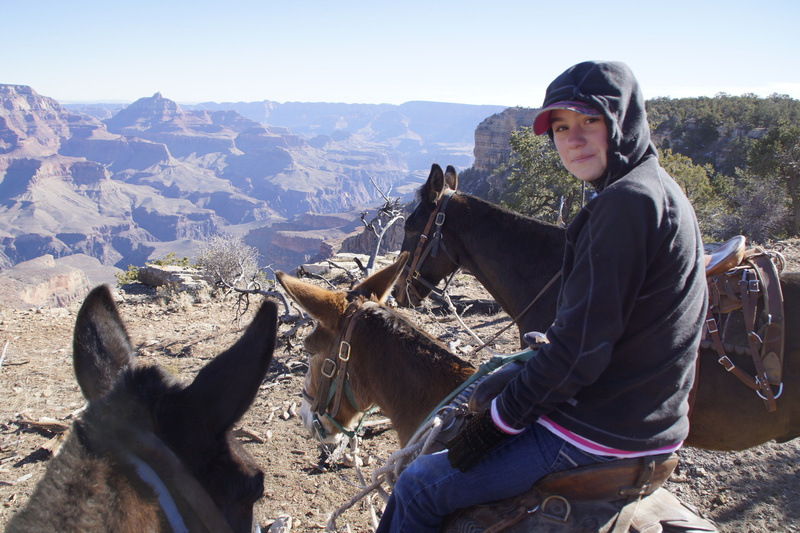 Fortunately, within an hour of leaving the mules and changing clothes, she was feeling better and we set off to return to the RV Park in Phoenix. 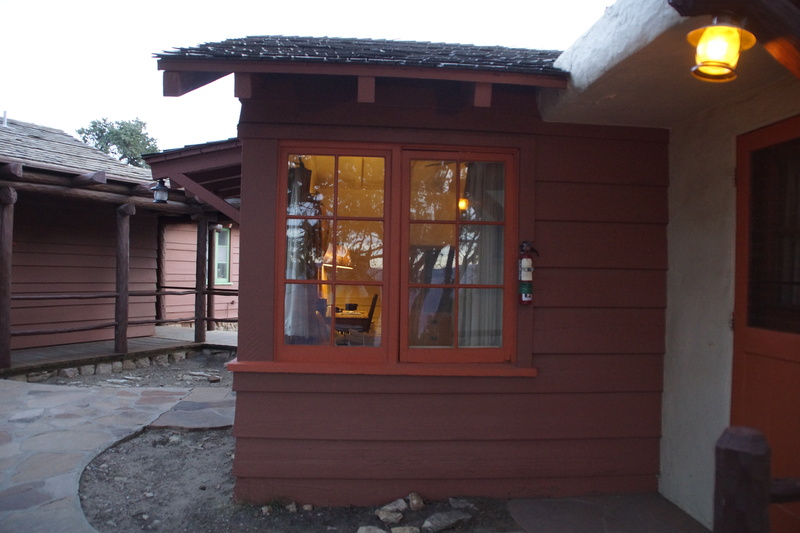 Didn’t I mention we’d stayed in a historic cabin overlooking the canyon that night? I reserved a little museum money and invested wisely! 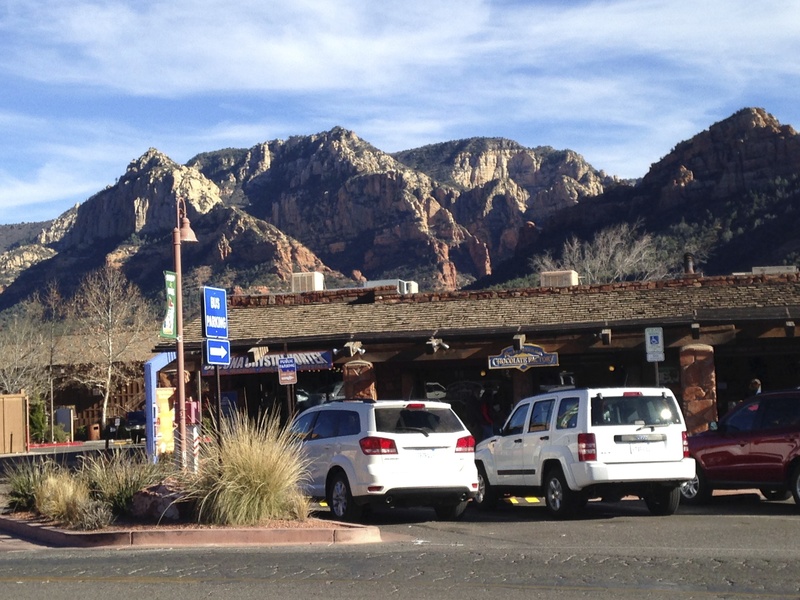 On the drive back from the canyon, we took a slight detour through Sedona for lunch and were pleasantly surprised by the beautiful canyon surrounding the quaint town amidst an otherwise desert landscape. Amazing diversity of temperatures too. We exchanged gloves and coats for tank tops and flip-flops upon our return to Phoenix that afternoon. 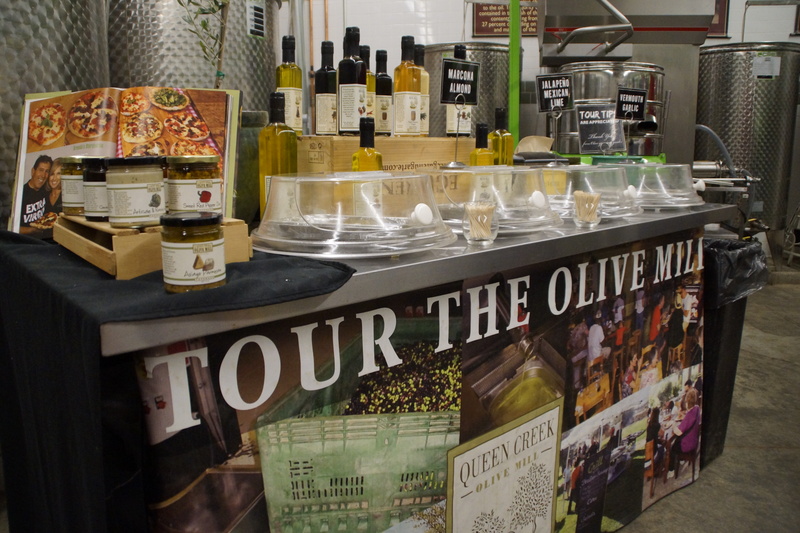 Getting more adventurous, one day we trekked our way south from Phoenix past Mesa and toured the Queen Creek Olive Mill. 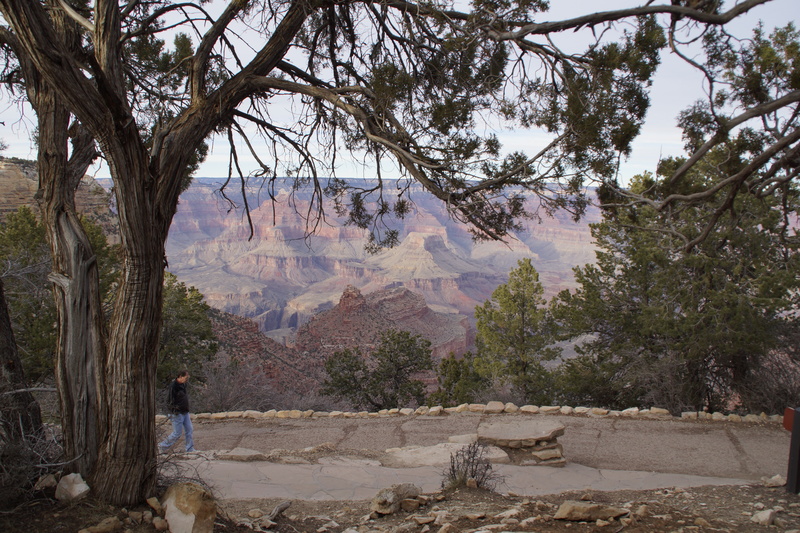 Aside from the Grand Canyon, this stop was mine and the kids’ favorite. It was a walking, learning tour. Great story about the family that started the farm, knowledgeable guide that educated us far beyond our asking, and tastings at the end of the tour. Yes, we swigged olive oil. Apparently one teaspoon a day is heart healthy. And I secured my anniversary gift to John: green olives stuffed with jalapeno. Seriously, he was giddy! 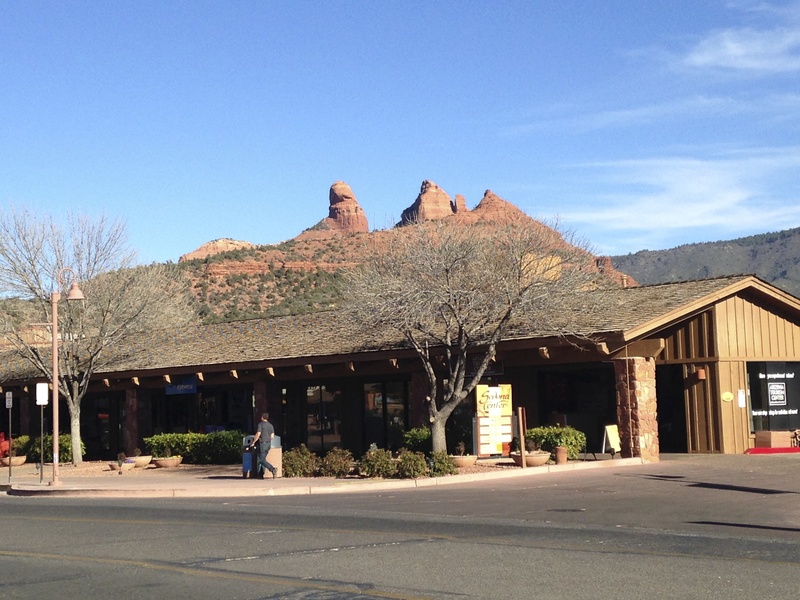 While we were near Mesa, we went to a local music theater production of Fiddler On the Roof. I’d played one of the daughters my junior year in high school and felt nostalgic singing along with the cast. The kids had recently wrapped up a study on Jewish customs making this outing both fun and educational. Again, so unlike a museum. For the rest of our Phoenix visit, Blake rehabbed his knee and foot by walking in the RV Park indoor pool while the kids swam during approved kid swim times. One evening, John and I snuck away for a wedding anniversary dinner in downtown Scottsdale. And I got caught up on laundry so we could pack our suitcases. Yep, we were trading the rolling house in Phoenix for a week in a luxurious two-bedroom hotel suite in Las Vegas. Ahh yes, my kind of field trip and I’d get to play tour guide. And the rocks cried out again! 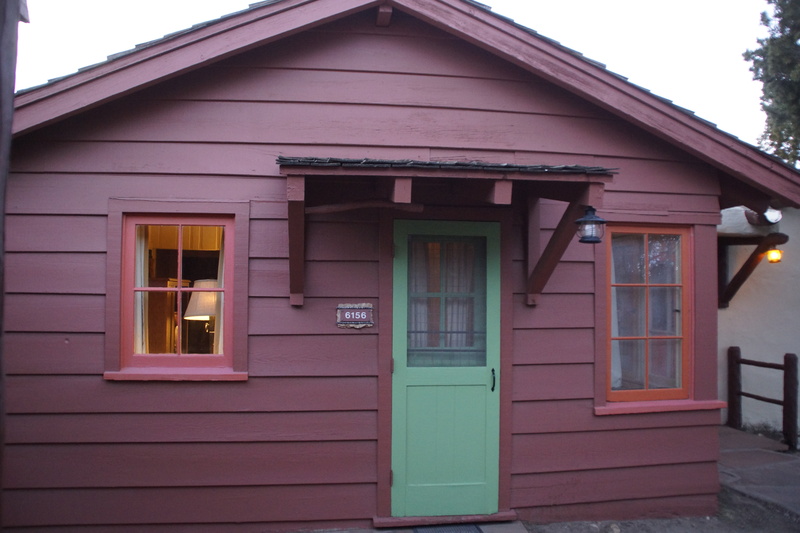 This entry was posted in Home-School, Parenting, RV, RVing, Travel by Natalie Lewis. Bookmark the permalink. 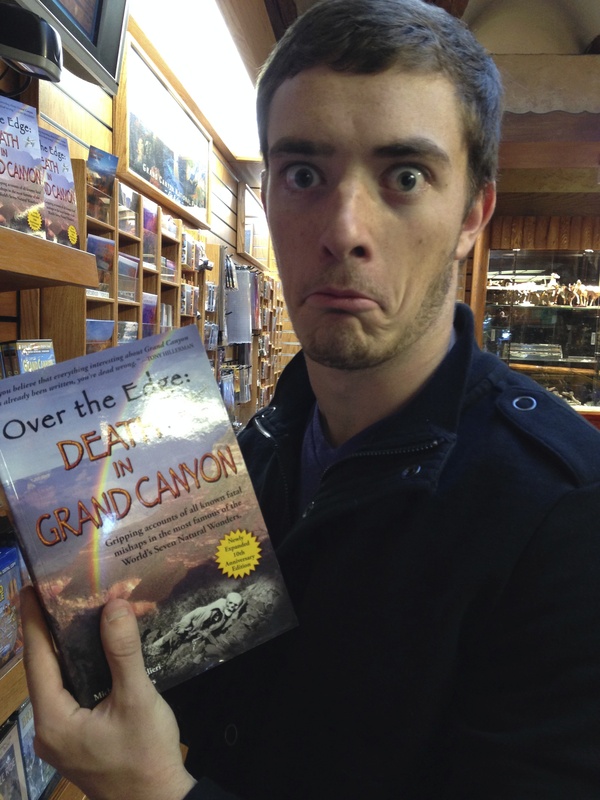 Very entertaining, well-written travelogue! Keep up the good work on the stories :). They are never dull!